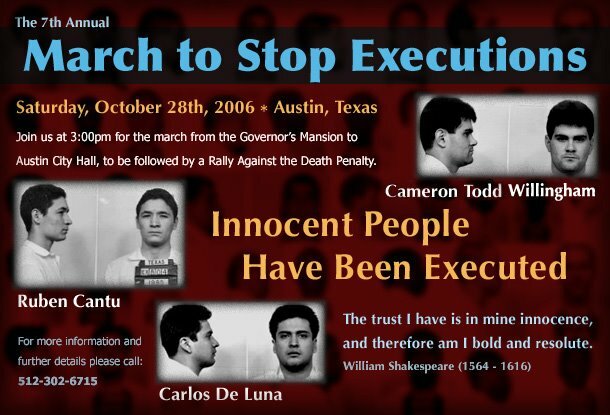 Bennie Cantu, brother of Ruben Cantu, who was an innocent person executed by Texas in 1993, is coming to the 7th Annual March to Stop Executions on Oct 28 in Austin. 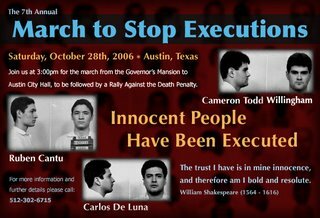 Other speakers and special guests include: Rose Rhoton, sister of Carlos De Luna, an innocent person executed by Texas. “If God ever gave me a second chance,” Rhoton has said, “I would fight harder for Carlos.” Darby Tillis, who was exonerated from death row in Illinois. Sandra Reed, mother of an innocent man still on death row in Texas. Sandrine Ageorges from France. Other speakers to be announced soon.